Catherine Barrett shares her First Communion experience! 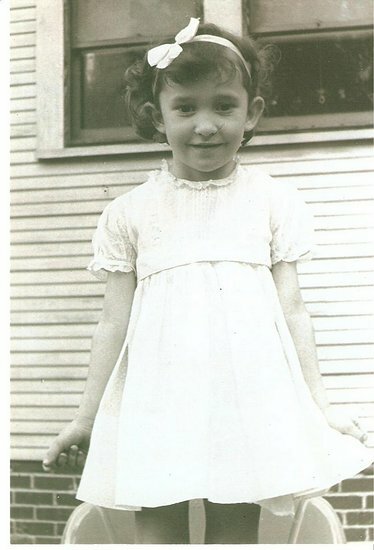 Miss Catherine Barrett made her First Communion at St. Anthony's Catholic Church in Ensley on May 10, 1942, which was also Mother's Day. She was 7-years-old. She remembers that Fr. Michael Keys was the priest at the time. She and her family were lifelong members of St. Catherine of Siena Catholic Church in Pratt City, Alabama; but she stayed with her Aunt in Ensley during the week to attend school at St. Anthony's. She received Communion with 42 of her classmates. She doesn't remember having a grand party, but she does remember the white "Shirley Temple" dress that she wore on her special day. She still has the dress and veil and remembers wearing the veil for her Confirmation in 1947. St. Anthony's and St. Catherine's are no longer in existence, but St. Catherine was one of the parishes that eventually became St. Patrick Catholic Church. Miss Barrett has a wealth of knowledge regarding the history, artifacts, and archives of our beautiful church.